The president of Bougainville says the Papua New Guinea government’s decision to reduce funding to the autonomous region’s government could compel its people to push for secession from PNG. John Momis says the government’s 2016 budget makes savage cuts to almost every aspect of funding for Bougainville. He told the Post Courier that the autonomous Bougainville government’s budget has been reduced by 10 million US dollars, and several other grants for development and the Bougainville Peace Agreement have also been cut. The Joint Supervisory Body Meeting scheduled for this week was deferred to February 15th and 16th, 2016 after negotiations by leaders from the ABG and the National Government came to a deadlock regarding calculations on outstanding issues owed to the ABG by the National Government as per the Bougainville Peace Agreement on Development Grants. The leaders met at the Rapopo Resort just after the Prime Minister, PETER O’NIEL arrived from Port Moresby. ABG President, Chief DR. JOHN MOMIS had earlier released a press release stating that the Autonomous Bougainville was not happy at the National Government for not honouring commitments it agreed to at the last JSB. He said that if the two parties were not agreeing to the payments then the ABG had no option but to go to the Supreme Court to make its interpretation of the law. 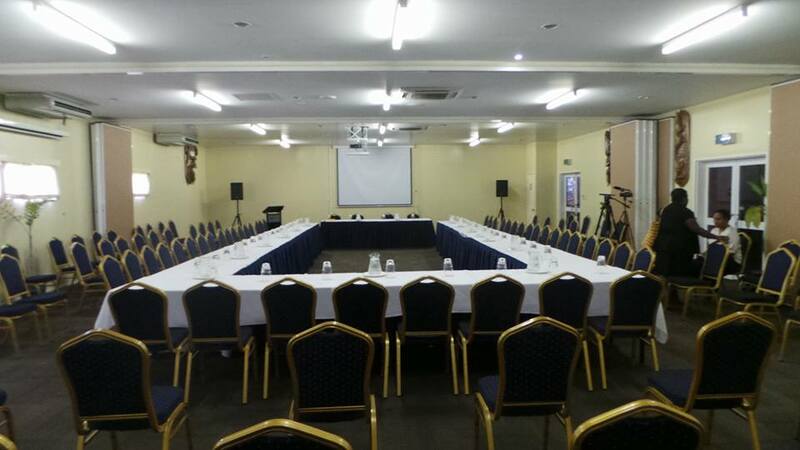 Most of the team members including development partners including the Australian High Commission, New Zealand High Commision staff,US embassy and UN team both based in Buka and Port Moresby were waiting at the Gazelle International Hotel for the JSB to commence when officers came with the announcement. The announcement was made by the Director for NCOBA, Mr. Ellison Towalom. He announced that the leaders have agreed for the JSB to be deferred to next year.